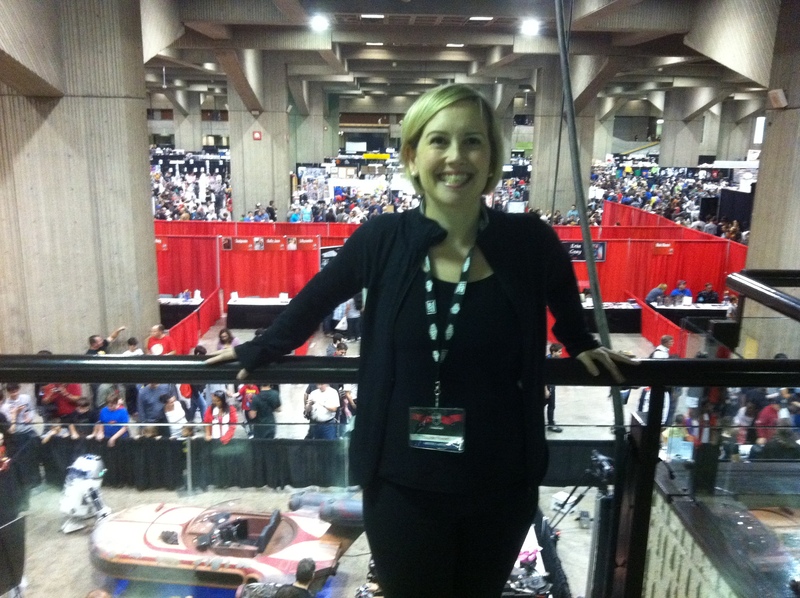 So this past weekend my girlfriend Deb and I drove to Montreal to experience the MCC firsthand. I had a table at the event for the JSAs and Deb was going to be working with DesertWind Comics for the various signings with Stan Lee taking place over the course of the two day event. Stan Lee and "The Counselor"
First off, congratulations to the MCC team: Oscar, Alex and Elizabeth for putting on a great show. 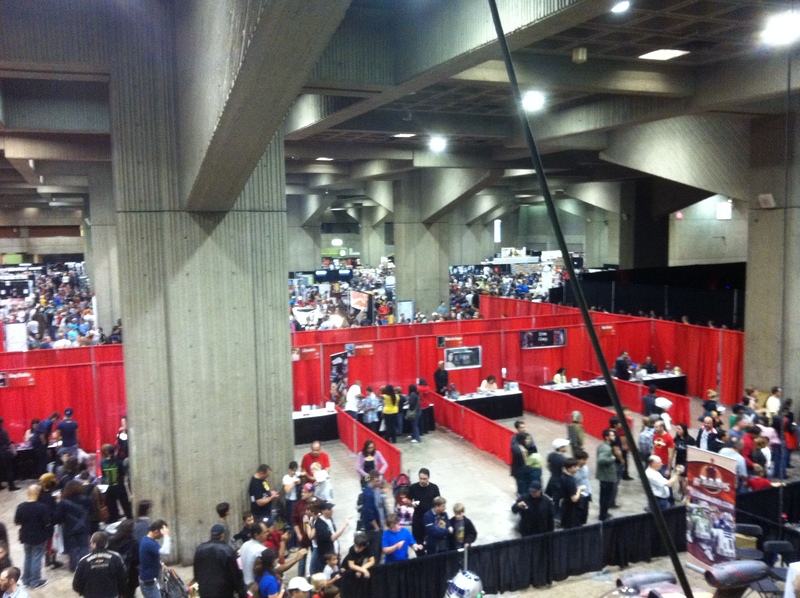 Secondly, the Montreal Comic Con has officially graduated from being a strong regional comic con to a full on National event. Finally, with the growth comes a lot of challenges that will need to be fixed for 2012. Some of you may recall that last year I was a part of the MCC team, and that 2010 2-day convention went from having approx. 2500 attendees in 2009 to over 8K. The 2010 floorspace was about 50K square feet. This year I did not work for the event in any capacity, the event moved into a hall approx. 150K square feet and looked HUGE. 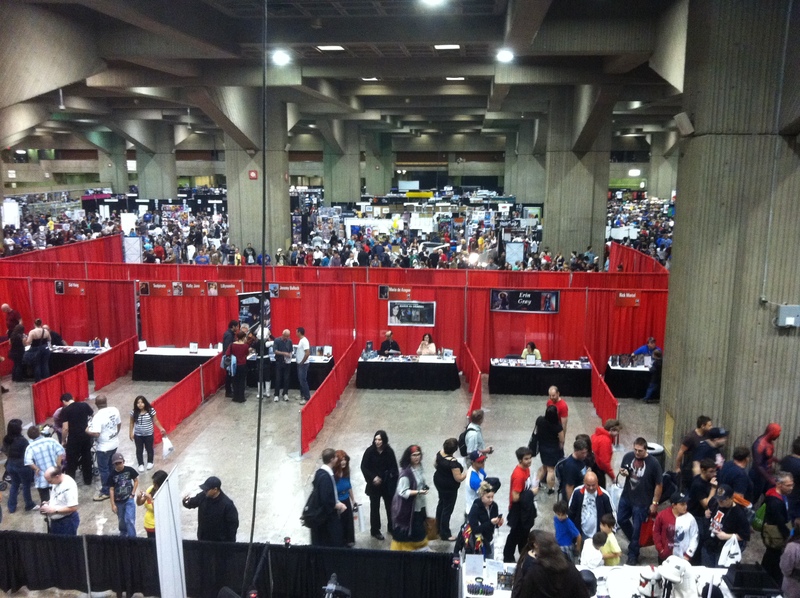 There were a lot more dealers, creators and celebrity guests this year and the con accommodated them all within the existing space, including a large theatre on the floor of the con itself. 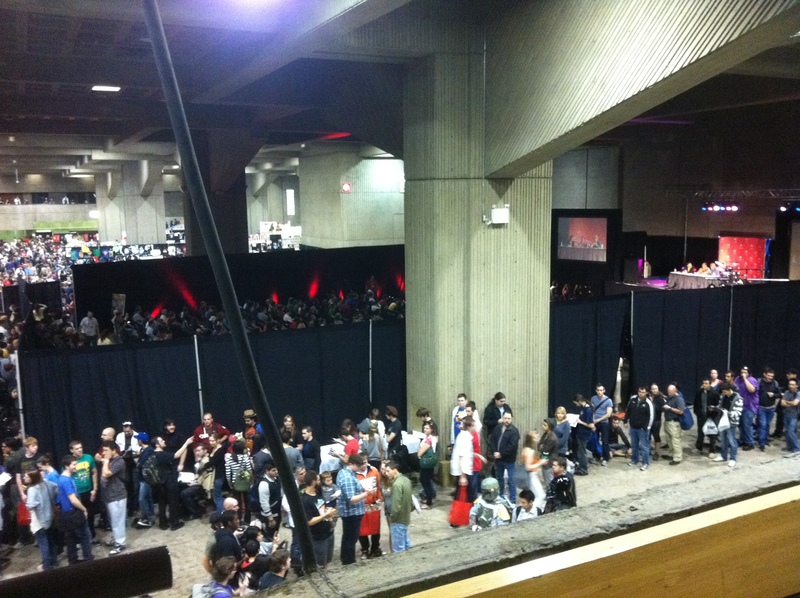 First off, I think Place Bonaventure is a terrible facility to hold an event. Built in a different era, it’s levels and stairs are inhospitable to attendees with carts and any kind of baggage. I arrived on Saturday morning (after the loading dock had closed) and had to lift my cart and some boxes up and down over 7 sets of stairs as staff did not allow us to use the tiny wheelchair/stroller lifts placed in inconvenient areas around the facility. The fire marshall was overzealous on both days and restricted admission to the hall early both days of the event and made people wait hours to get in. On top of that, the facility was in charge of selling tickets to the event and kept THOUSANDS of people waiting outside for hours waiting to buy tickets before deciding to cut ticket sales for the day. If they had any sense they would have had a physical ticket sales cut off point and estimated where that point would fall in the line and told people not to bother waiting. While the actual location is perfect – right off the Metro line and near the train station I think the negatives are starting to outweigh the positives. I thought the show was a little short on English comics guests, and hope that improves as years go by and word of mouth improves as to how well they are treated at the event. 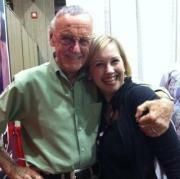 It had a very strong classic guest line up with Stan, Neal Adams, Sergio Aragones and Stan Sakai. 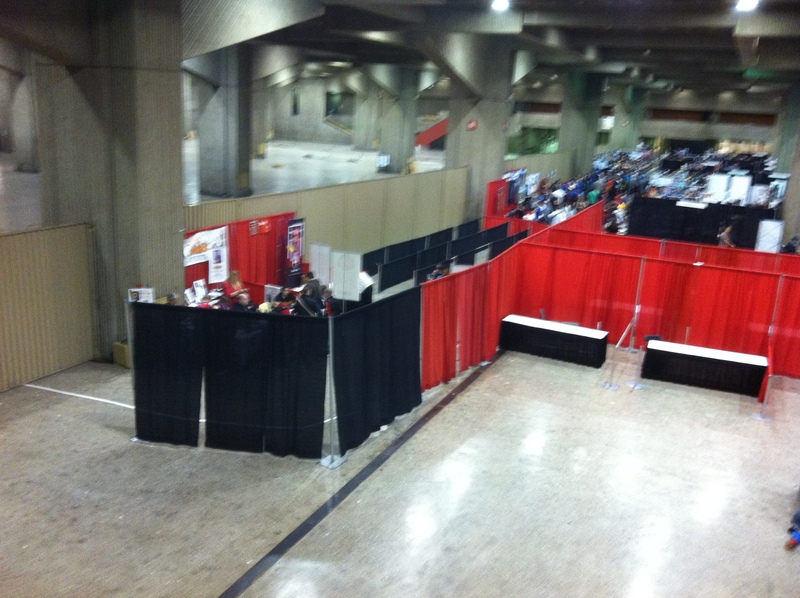 One thing the show does have going for it is the second solitude, a strong representation of BD creators at the event. Perhaps the most impressive area being the row devoted to La Gallery Montreal which had about 10-15 creators signing and sketching there all weekend. I had a great time shopping at the booth of our 2011 Harry Kremer Retailer Award winning store Planete BD. 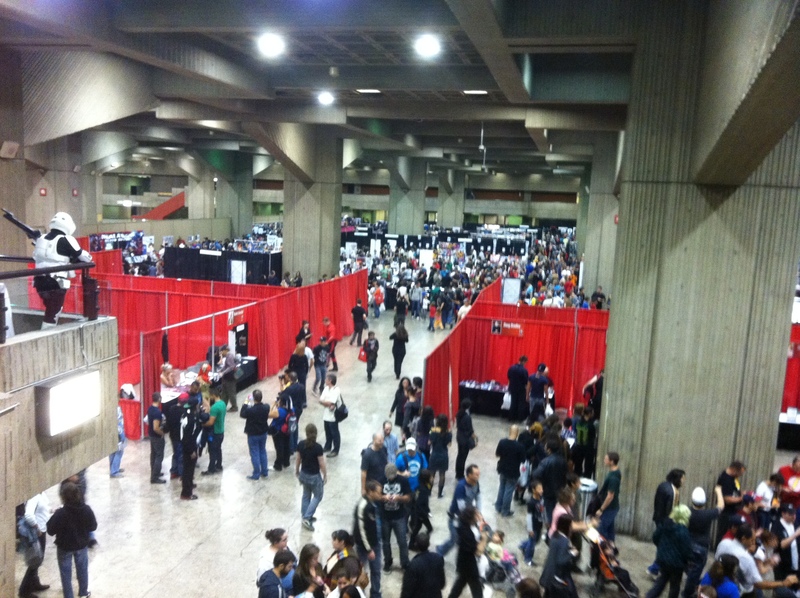 Ontario creators and retailers came out in force to support the 2011 Montreal ComicCon and it was, in many ways, like being at a convention at home. So, overall I’m excited about 2012 and the future of this event. If all goes as planned we will be presenting the Joe Shuster Awards there next year. Make sure to visit Comic Book Daily for con reports, photos and interviews. 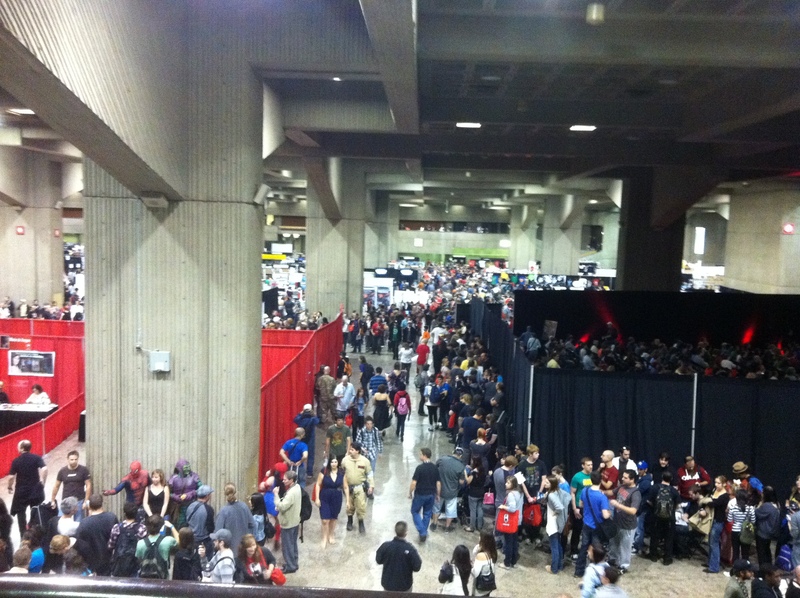 Here are some pictures I took of the convention floor from the balcony at the back of the hall to give you a sense of how hopping the event was around 1PM on Sunday. This entry was posted in Happenings, Op/Ed by Kevin A. Boyd. Bookmark the permalink. P.S. While I did man the table for most of Saturday, I decided to wander the show instead on Sunday and left out samples of our 2008, 2009 and 2011 Ceremony Program Guides (which included lists of nominees plus detailed bios for Hall of Fame Inductees) which were snatched up. A good summary of the show, Kevin. Heading into the Con we had heard mixed things about the show but left very impressed. There were some growing pains (and the venue is a poorly-designed one) but I’m interested in seeing where it grows in future years. Having been to the 2009, 2010 and now 2011 shows I can safely say that the 2011 event bears virtually no resemblance to the previous two incarnations other than the same general location. They really took notice of what and how other bigger shows run and added their own touches. I can’t help but think that they will work hard to make 2012 even better. Everyone who was in the hall seemed to be having a great time.